Well that Ends Well, in New York City in December 2018. 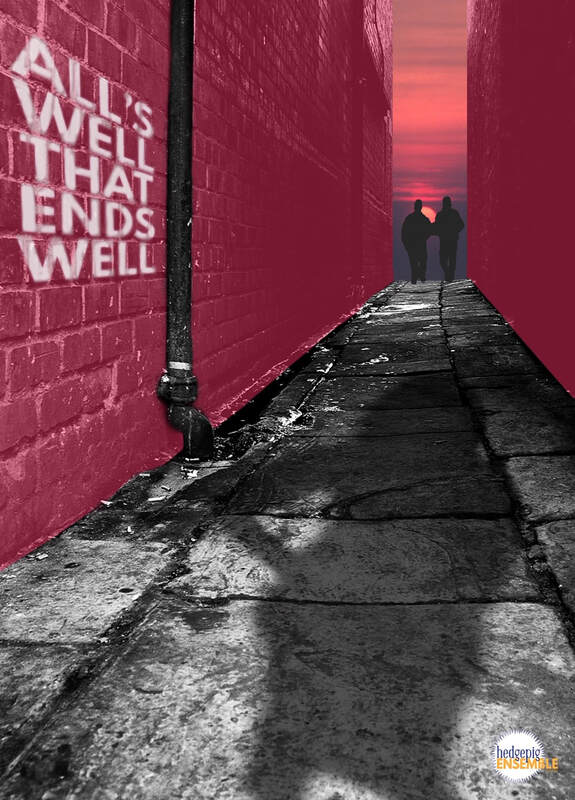 Shakespeare’s comedy, All’s Well that Ends Well. and Kariana Sanchez as Diana. (assistant director), and Andrew Hutcheson (text coach). *Actors appearing courtesy of Actors’ Equity Association. AEA approved showcase. A conversation about recognizing, dismantling, and healing a culture of toxic masculinity and how it relates to All's Well That Ends Well. A discussion of strategies for lifting up women with some amazing ladies who are leading the way. Be on the lookout for a model of this behavior in All's Well! Dahlia Lithwick is a senior editor at Slate. Her work has appeared in the New York Times, Harper’s, The New Yorker, The Washington Post, The New Republic, and Commentary, among other places. She has appeared on CNN, ABC, The Colbert Report, the Daily Show and is a frequent guest on The Rachel Maddow Show. Josie Rosario, an inspiring therapist and educator, shares tips for women who seem to "have it all" yet struggle with self worth. Join us as we look for how this plays out for Helena in All's Well That Ends Well. artists to elevate the voices of women in the classics.